Ahead of the game against Reading, Ole Gunnar Solskjaer made as many as 9 changes to the team that won over Newcastle United, as he tried to rotate the squad at the end of a busy festive period. The changes were evident as Manchester United were far from their usual best and struggled to see off a Reading side that made life difficult for the Red Devils. Most of the Norwegian's top performers had played 4 games without a break, and the team did look a little tired against Newcastle. As such, Solskjaer decided to give Martial, Rashford, Lingard, Pogba, Matic, Herrera, Shaw, Lindelof and De Gea a much deserved rest. Only Young and Jones continued as United called upon a lot of squad players to get the job done against the Championship side. As was expected with such changes, United looked off the pace and the new boys struggled to work with their manager's tactics. They could register only 8 shots, the lowest in a game under Solskjaer, with only 5 of them on target. United had just 40% possession and were inferior to Reading in the number of passes as well as passing accuracy. However, the Red Devils did go on to win the game and progressed to the fourth round of the FA Cup thanks to these 5 men, who were efficient and effective for Solskjaer on the night. Called upon to replace the magnificent Victor Lindelof, Darmian started at an unfamiliar centerback position. The fact that he partnered Phil Jones would have given United fans a nightmare as soon as the team was announced. However, Darmian was the pick of the defenders on the night. The Italian was strong at his position and covered well. 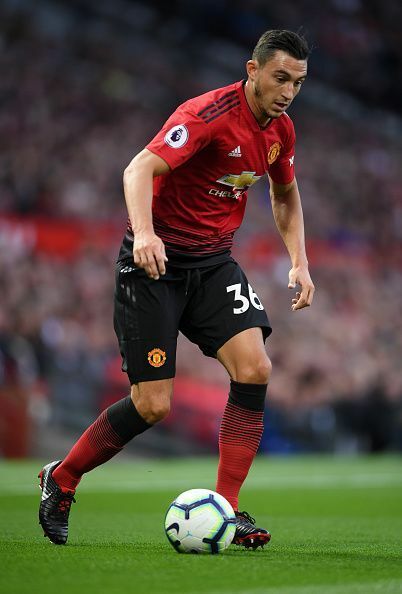 Even though United were caught out a few times and were spared only by some poor finishing from Reading, Darmian looked comfortable in his new position. He was also effective in his tackles and ensured that United did not miss a centerback on the night. Darmian did not just do well at the back, he regularly took the ball out from the back, looking sharp and tried to play around and set people up. 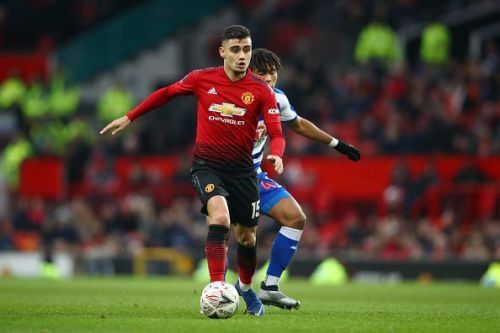 While he had not been eye catching, the Italian was efficient and effective and combined well with his compatriots to earn United a clean sheet.